This CD, "Kupuri", Huichol Songs was recorded at the rancho of Guadalupe de las Cruz and her family, in Mexico. 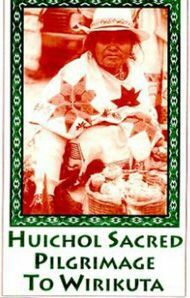 It includes the Huichol guitar, violin, and Guadalupe, a well-known singing shaman with her ancient native songs. The meaning of each song is in English and Huichol music follows. 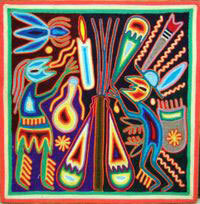 "I have been involved in work with the Huichol Indians of Mexico for over 30 years. Having studied with the shamans, especially Guadalupe-de-la-Cruz Rios, I felt the video was a way of preserving the story of this 30,000 year old tribe. They are from the Sierra Madre Mountains in central Mexico, and have contributed visionary art and shamanic healing to the healing of their people, and the planet.​"